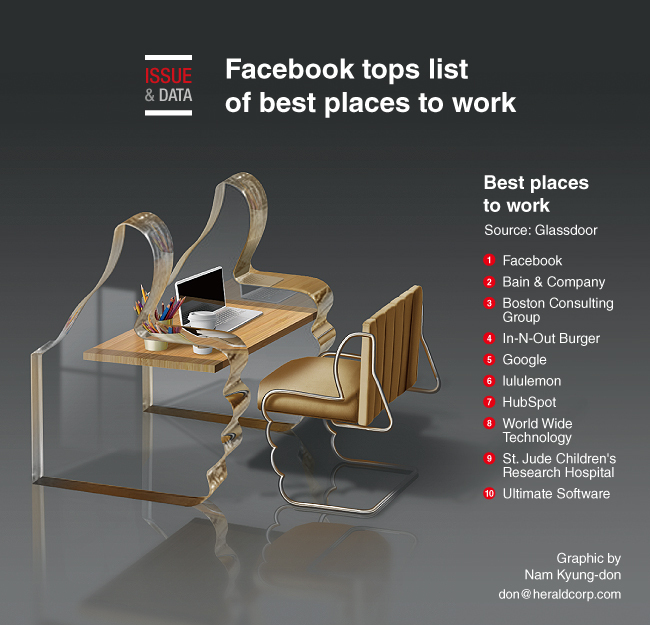 Facebook has been named the best place to work in the US, according to a list released by Glassdoor, a career listing and employer review site. Global management consulting firm Bain & Company ranked as the second best place to work, followed by Boston Consulting Group, In-N-Out Burger and Google. The ranking was based on employee reviews, which touch on how satisfied employees are with the employer, CEO and other key workplace factors.